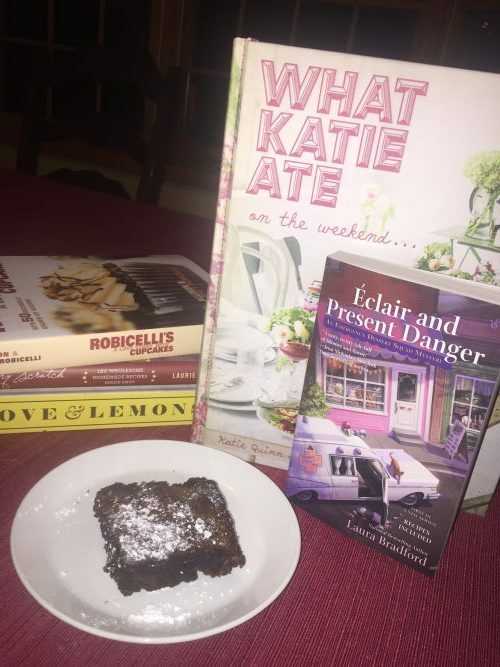 Wine and food pairings are all well and good, but there’s no better pairing than two complementary books. 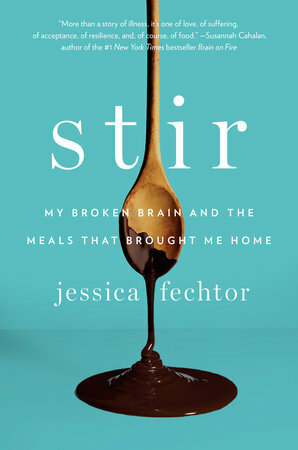 Reading + Eating posts feature two titles that will inspire you to cook, read, eat, and enjoy. 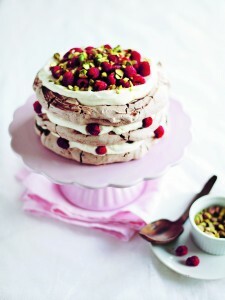 The gorgeous cookbook images, and handpicked recipes and quotes make for some delicious reading. 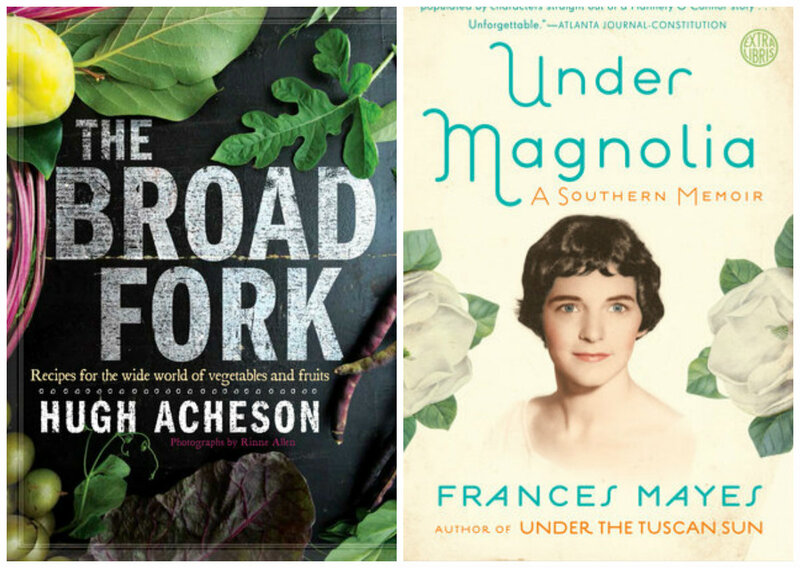 This month, we’ve paired Frances Mayes’ gorgeous memoir about growing up in the South with The Broad Fork, a lush cookbook from beloved chef, Hugh Acheson. Poached shrimp take about three minutes. Salsa verde can be made ahead. Radishes take a minute to cut up, if that. The broth assembles in a minute and is cooked for fifteen before the shrimp go in. I guess what I am saying is that I realize you’re busy but this is so easy, so fast, and so impressive that you need to go and make it. When buying shrimp, hopefully you find them fresh. But if not, shrimp are one of the few things that freeze well, so find fishmongers whom you trust and buy from them. They’ll know which ones are going to put a smile on your face. 1. Peel the shrimp, leaving the tails on and reserving the shells. (Even better if you have the heads, but if you’re buying head-on, buy about 1½ pounds.) Set aside. 2. In a 4-quart saucepan, heat the olive oil over medium-high heat. When the oil shimmers, add the shrimp shells (and heads if you have them) and cook for 3 minutes, until bright pink and aromatic. Add the vermouth and deglaze the pan. Add the chicken stock, butter, thyme sprig, leek, and kosher salt to taste. Bring to a boil and then simmer over low heat for 15 minutes. Strain the mixture and return the liquid to the pan over medium heat. Discard the strained solids. 3. Season the shrimp with kosher salt, and immerse them in the poaching liquid. Cover and cook for 3 minutes or until the shrimp are just cooked through. 4. Arrange the radishes and the celery in individual bowls for serving. Divide the shrimp among the bowls, and then ladle some of the poaching liquid over them. 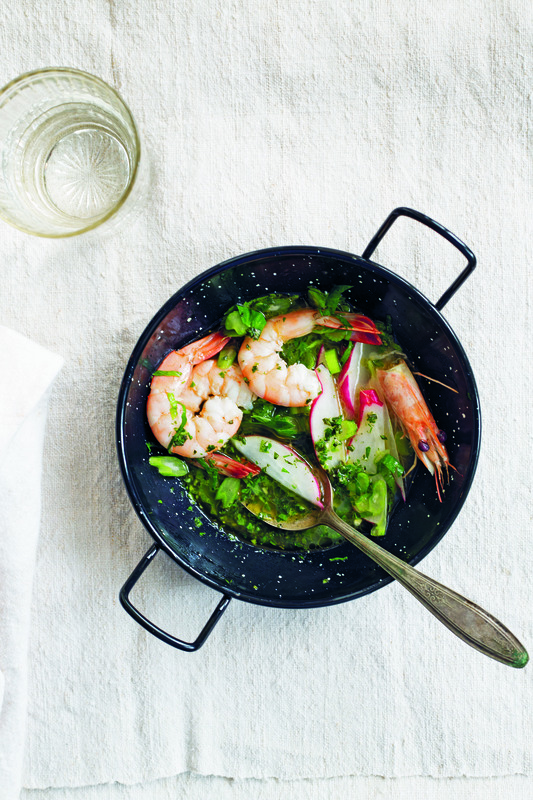 Finish each bowl with salsa verde, and serve. I was a wee little guy when Pops was doing a sabbatical in Palo Alto, at venerable Stanford University, but I remember eating egg rolls and artichokes with drawn butter. Now that may not have been in the same meal, but that’s how my memory puts them: together. The egg rolls were (amazingly enough) homemade by my mum and the artichokes came from a couple hours south of us. Big, green, thistly orbs. And I fell for them—hook, line, and sinker. Now my kids love the hunt to get to the heart of the artichoke, scraping each leaf with their teeth and getting all they can from their beauty. 1. 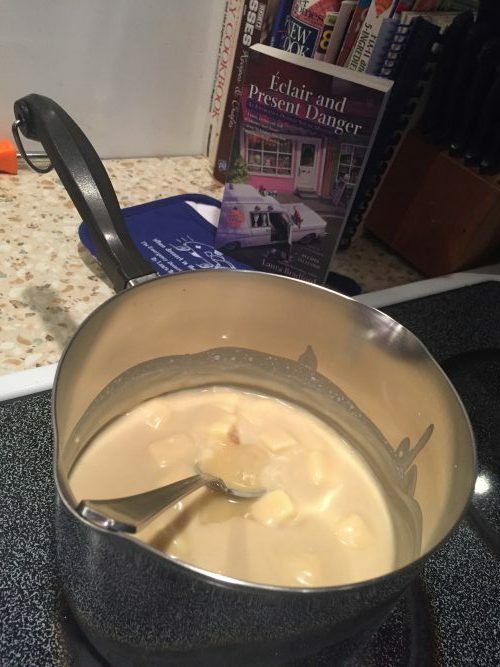 Place a stockpot over low heat and melt 1 tablespoon of the butter in it. Once the butter starts to foam, add the onion, half of the thyme, and the parsley, and begin to sweat the onion. While you prepare the artichokes, the onions will happily hang out over low heat. 2. Tear off the first few outer leaves from the bottom of each artichoke, as well as any attached to the stem. Using a vegetable peeler, shave the stems until you reach the white inner part. Add the artichokes to the pot, stem side up. Then add the white wine and enough water to cover the artichokes. Bring to a boil over high heat, add enough salt to make the liquid pleasantly salty, and then lower to a simmer. To keep them submerged, place a plate that’s just small enough to fit inside the pot over the artichokes. Cover the pot with a lid and cook the artichokes for about 20 minutes, or until you can slide a knife into the stem with no resistance. 3. Remove the plate and then the artichokes from the liquid, and place the artichokes on a cutting board to cool. When they are cool enough to handle, use a chef’s knife to carefully slice each artichoke in half, starting at the tip of the stem. This will expose the heart of the artichoke. Just above the heart you will see a fuzzy part, which is called the “choke.” Using a small spoon, remove the choke. You will be left with the heart and the fleshy leaves. 4. Melt the remaining 6 tablespoons butter in a small saucepot and add the remaining thyme leaves. Once the butter is fully melted, set it aside. 5. 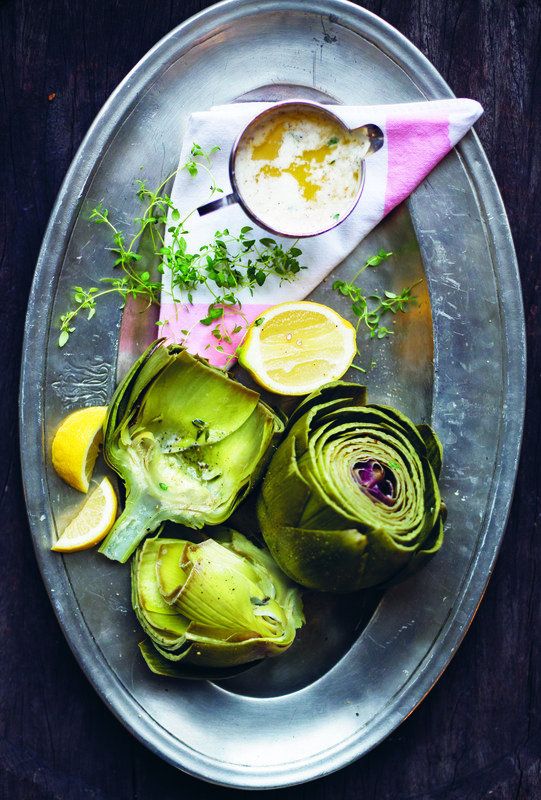 Place the artichokes on a large platter and season with salt, to taste. Garnish with the lemon wedges. Serve with the reserved melted butter for dippin’. Read more about The Broad Fork here. 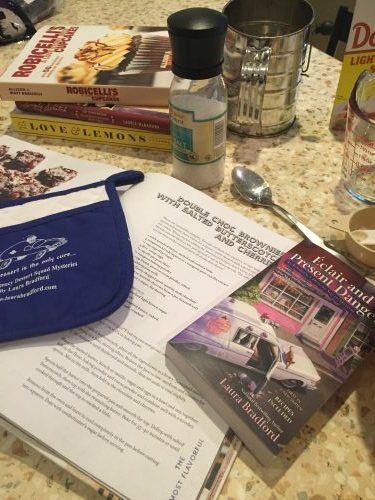 Paired with the memoir is Prune, Hamilton’s cookbook. 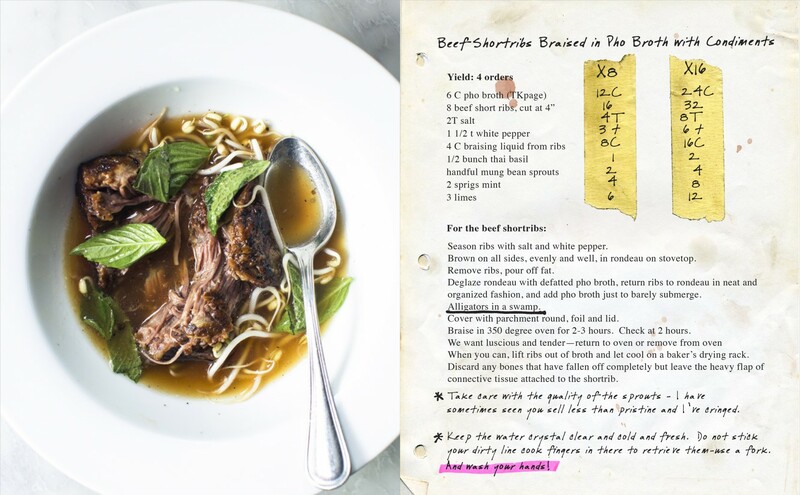 It shares a name with her universally beloved restaurant and is refreshingly personal, scrappy and accessible. 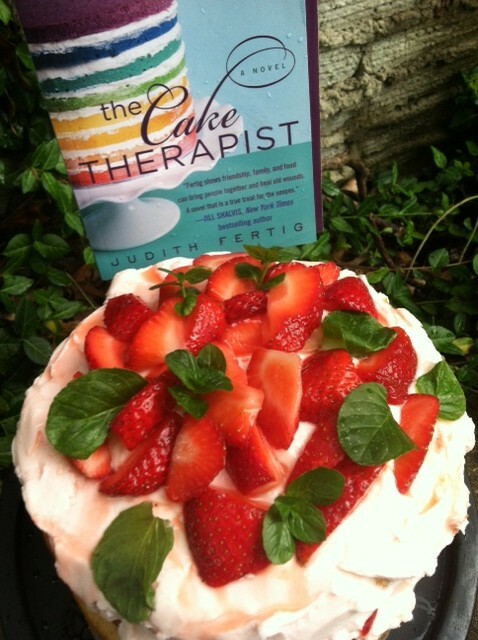 Dive in, get inspired, and get cooking! If you’re planning a trip to New York City, we have you covered: Fodor’s New York City 2015. Happy eating!